The Friends of Nottinghamshire Archives (FONA) was established in 2012 to promote the work of Nottinghamshire Archives in supporting, sustaining and preserving the rich documentary heritage of the county. FONA has different cateogories of membership and is run by a small voluntary committee, for which nominations are invited in advance of the Annual General Meeting. Supporting the work of Nottinghamshire Archives in preserving the county’s rich heritage. Invitations to members’ events, talks and visits. Reserved places at talks organised by Nottinghamshire Archives (5 free places available). 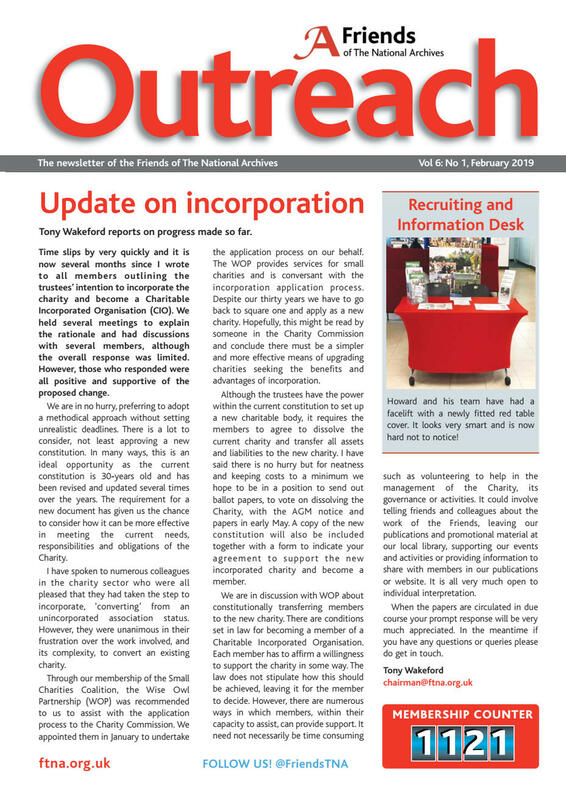 Friends raise funds, through meetings and subscriptions, to help acquire material and equipment for the Archives office. 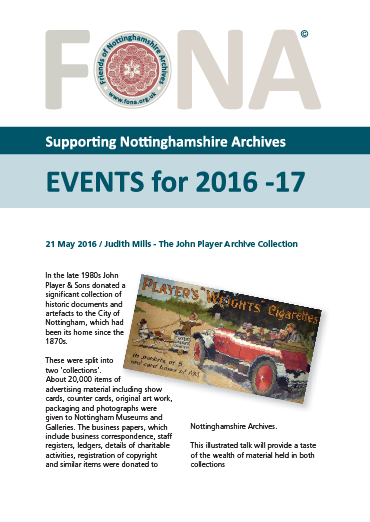 Details of past FONA activities may be found in our newsletters. Further information can be found on our publicity leaflet. 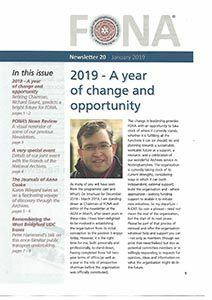 The latest issue (January 2019) of the FONA Newsletter is now available for downloading. 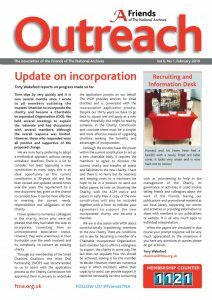 The latest issue (February 2019) of Outreach (newsletter of the Friends of the National Archives) is now available for viewing.